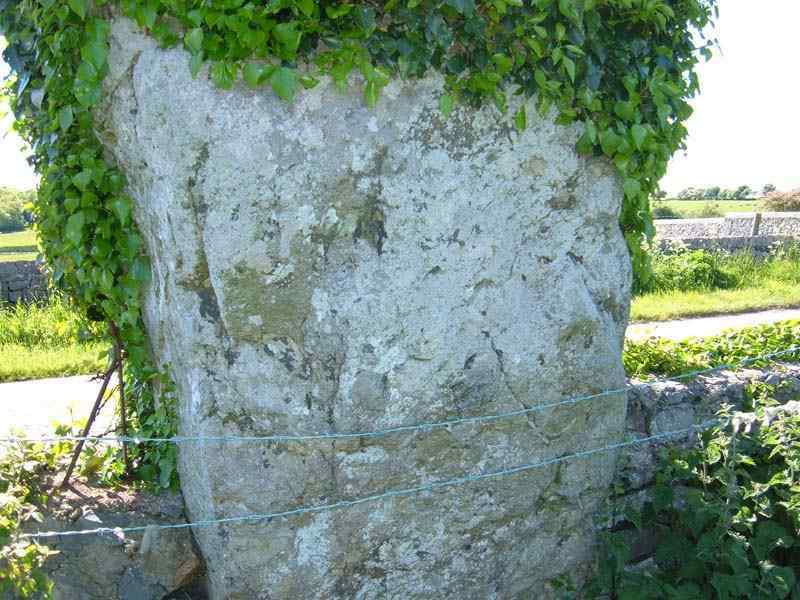 Maenaddwyn Standing Stone on Anglesey - an ancient monument on the island of Anglesey. 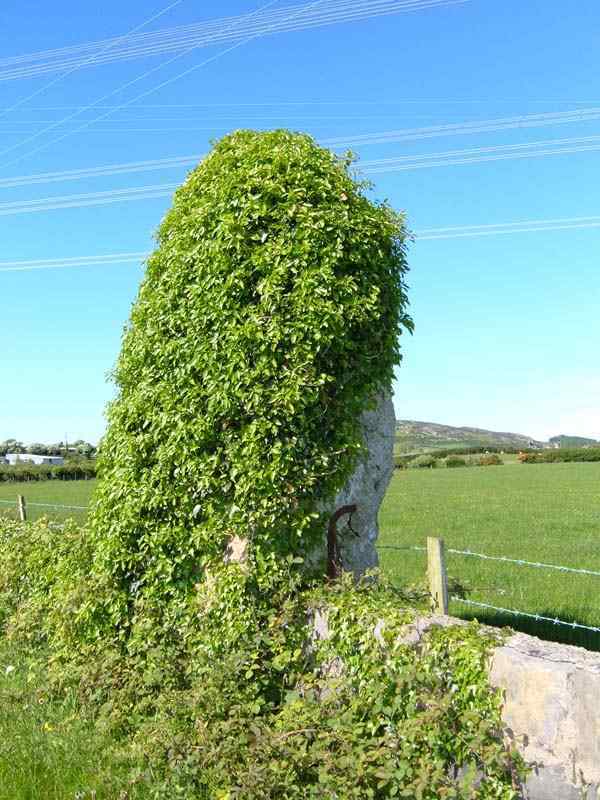 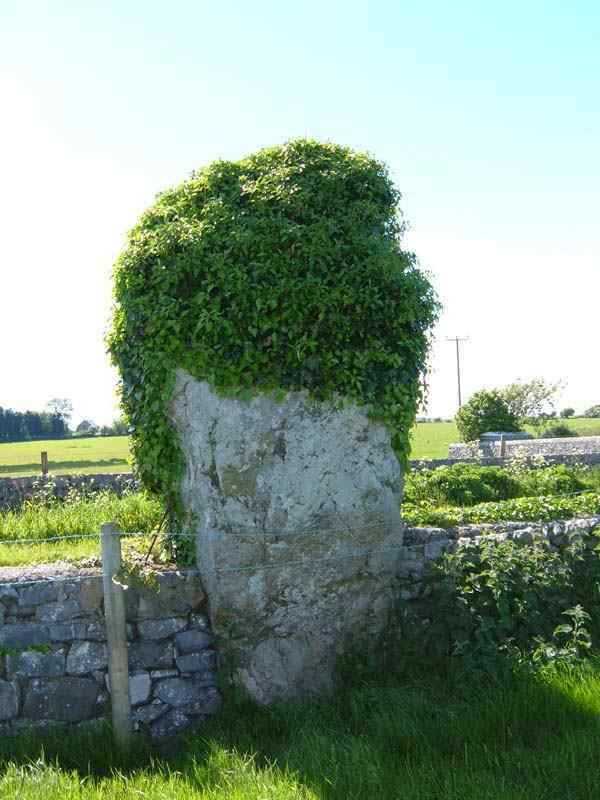 Yet another large stone, almost impossible to recognise as a stone because it is covered in ivy. 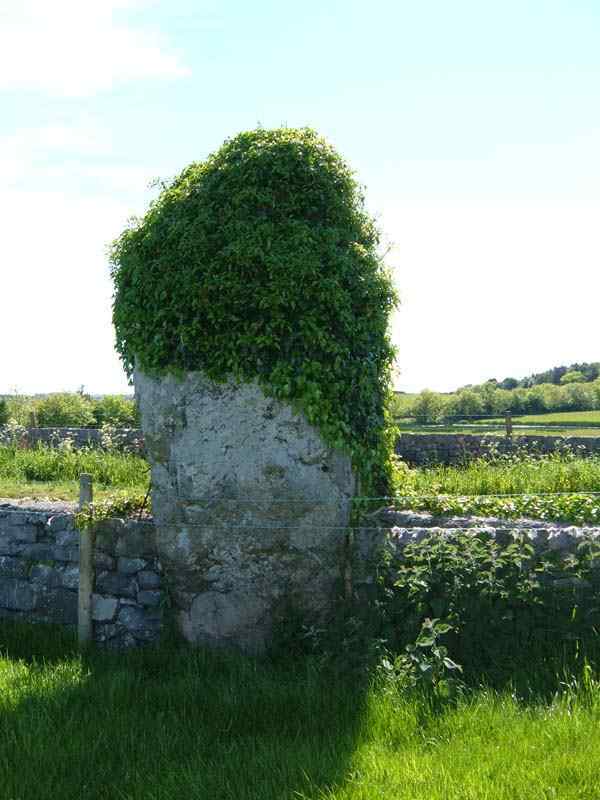 Situated between the villages of Maenaddwyn and Capel Coch, it forms part of a wall directly opposite a small school.